If you are curious how to buy gold, or you’re new to purchasing precious metals as an investment, then there are a few things you should know before getting started. Investing in gold can be a great decision for people of all backgrounds and income levels. It’s a decision that can have a tremendous impact on your future worth and your retirement plans – whether you’re hoping to retire soon or decades from now. But if you’re not careful about your investments or don’t take the time to understand your options, then you could rob yourself of the greatest potential benefits. On the other hand, keep in mind that buying gold doesn’t have to be difficult or stressful! You just need to follow the right steps. Here’s how. 1) Speak to a precious metals specialist. One of the single most important steps to investing in precious metals is to seek the guidance of a skilled and experienced gold advisor. They will cover all the steps on how to buy gold the right way. They’ll inform you of your options and help you understand the specific strategies behind each one. 2) Review the different types of investments available to you. When investing in precious metals, you have several different options to choose from. For example, in addition to gold, you may find that silver, platinum and palladium (or a mix) provide unique advantages for your financial goals. Each option has its own unique features and benefits, which is why it’s crucial to speak to an advisor. 3) Determine your specific goals. There are numerous advantages to investing in precious metals. Some do it for the potential growth. Some do it to diversity their investment portfolio and thus protect it from the volatile stock market. Others do it to preserve their wealth by protecting their money from the declining dollar. Whatever the case may be, you’ll want to make sure that you choose investments that make the most sense for your specific needs. A skilled advisor can help you determine which options are aligned with your goals. Like any investment, if you want to know how to buy gold the right way (Wikipedia), then you should never base your decision on a gut feeling or pressure from a pushy salesperson. Instead, invest wisely using research, expertise, and well-planned strategies as a basis for your decisions. 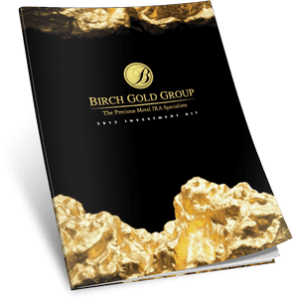 At Birch Gold Group, we can help you determine if precious metals are right for your portfolio, and we are happy to go over all your investment options in greater detail. Whether you’re ready to invest right away, or you just need some information to point you in the right direction, we’re here to help. Call us today at (800)355-2116, or fill out the form on this page for more information.